Just because a product is being sold in India at a price that is cheaper than what the domestic industry is selling it for, doesn´t mean that it is being dumped. 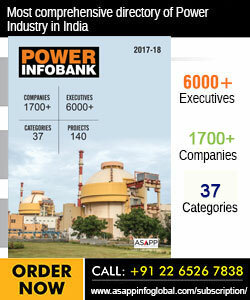 At the request of three Indian solar cell and module manufacturers, an investigation of allegation of dumping of solar cells and modules was initiated in October 2012 by the office of the Directorate General of Anti-Dumping and Allied Duties (DGAD), Ministry of Commerce and Industry, Government of India. The DGAD recommended in May 2014 that India impose duties on imported solar modules and cells from the US, China, Taiwan and Malaysia. The recommended duty levels range from 11cents/watt (c/w) to 81c/w. These are so high and the potential impact that this will create on India´s solar market and Government solar policies and goals are so adverse, that this has prompted senior Government officials from the Ministry of New and Renewable Energy to publicly state (as quoted in the media) that the recommended duties should not be adopted. The Ministry of Finance, which has the final say on whether duties should be imposed, has to convey its decision on or before 20th August, 2014 and must choose between supporting a growing and vibrant solar market that is creating thousands of development, construction and supply chain jobs while contributing to India´s energy and environmental goals or protecting a relatively sub-scale manufacturing segment most of which was set up way before India´s solar program was initiated in 2010, primarily to cater to the heavily subsidised solar markets in the EU and Japan. b) Manufacturers who import cells and only make modules- Total active capacity today is 1304 MW. Majority of the domestic manufacturing capacity in India started in 2005-09 when countries in the EU embarked on their solar program, with very high feed-in-tariffs of 1 euro/kWh. At that time India´s domestic market was nascent and mostly off-grid products, as the cost of grid-connected solar power was very high. Primarily driven by lower labour costs, the module assembly part of the value chain expanded in India and bulk of the production capacity was set up to target the commercially attractive export market where the generous subsidy support and a supply constrained market allowed the domestic industry with the limited value-add of module assembly, to grow. By 2010-11, the situation reversed, as there was a significant amount of manufacturing capacity of large scale across the entire value chain i.e from silicon to modules, that was added in countries like China, Taiwan and Malaysia plus the fact that with the economic crisis in the EU, the generous subsidy support was withdrawn putting pressure on tariffs and therefore on the entire value chain that got commoditised, to a level that only integrated manufacturers of scale were able to justify the cost structures. Around the same time when the global solar market (dominated 95 per cent by EU demand) was shrinking, the Government of India embarked on an program to add 20 GW of solar capacity by the year 2020 under the National Action Plan for Climate Change. India had an excellent solar resource, increasing dependence on imported fuels and a growing need for energy. The vision was that that solar energy had become a compelling method of driving economic, energy, and environmental goals in India, and the first program for grid-connected solar was initiated by the Ministry of New and Renewable Energy (MNRE) in 2010. It adopted policies like reverse tariff auctions that encouraged the industry to provide competitive tariffs to the consumer in an open, transparent manner. The decline in the global prices of solar modules and optimisation in BOS costs further supported the build-out of the domestic generation capacity as PV energy prices declined sharply in this period. International trade laws allow countries to impose anti-dumping duties on imports under two conditions: First, imports must be priced lower than the same product that is being sold for in the country from which that product is being exported. In other words, a foreign car that is sold for $20,000 in India and for $18,000 in its home market is not being dumped in India even though the competitive car being manufactured in India is being sold for $25,000. Dumping in its legal sense, means export of goods by a country to another country at a price lower than its normal value. Just because a product is being sold in India at a price that is cheaper than what the domestic industry is selling it for, doesn´t mean that it is being dumped. And second, domestic producer companies petitioning for protective duties must represent at least 25 per cent of the domestic producer industry and that the domestic industry must be injured by dumped imports. It is also necessary to establish that there is a causal link between the two. The experience of the recent tariff auctions on the National Solar Mission (phase 2/batch-1 program) where 750 MW of capacity was allocated with 50 per cent of the capacity reserved for domestic cell-to-module manufacturers demonstrates that the capex from the projects built with domestic modules will be higher by at least Rs 1 crore/MW (average), as compared to the projects that were bid with no sourcing restrictions. This capital cost translates into an increase in the cost of solar power by at least 20 per cent (or Rs 1/kWh) from the current levels of tariff. This will negate all the efforts made during the past 4 years. The NPV of the resultant tariff increase of Rs 1/kWhr is an additional expense of Rs 1 crore/MW to the end consumer assuming a lifetime of 25 years. The entire policy of the National Electricity Policy and Electricity Tariff Policy which clearly lays down that the supply/availability of electricity to the consumers at reasonable rates is one of the most important objectives & electricity to consumers should be supplied at reasonable and competitive rates, will be dealt a body blow. Will the imposition of dumping duties create new manufacturing capacities? Duties in the US and EU haven´t incentivised Chinese manufacturing. Fundamental and long-term market indicators are necessary to justify manufacturing investment. Government policies that can be changed overnight will not encourage investment. Does India have enough manufacturing capacity to meet its domestic needs? The latest survey by MNRE indicates that the operational cell manufacturing capacity in India is 297 MW. How would this capacity serve a market that needs at-least 2,000MW/year of new capacity if all the Central Government programs like NSM Phase 2 and the announced State programmes are to be served? The 1,304 MW of domestic manufacturing capacity that uses imported cells will also be exposed to the same anti-dumping duties on input costs, making them non-competitive. Will global PV manufacturers invest in India over the short term? The latest global PV manufacturing supply chain assessment clearly demonstrate spare capacity available for meeting incremental demand. In this scenario, how would shareholders and investors justify new capacity creation when existing manufacturing infrastructure is not fully utilised? What are the inhibitors to establishing PV manufacturing in India? To set up a large-scale manufacturing and associated R&D investment in PV in India, there are several factors that need to be considered. Availability of capital at competitive rates, an efficient regulatory environment with simplified tax and labour laws and an availability of reliable and cost-effective electricity are all enablers to incentivising manufacturing. India today has one of the highest costs of capital, a very complex investment and tax regime and a very unreliable power supply (in most parts of the country), compared to other countries which are making big manufacturing bets in PV (Saudi Arabia, China, Brazil). The Semiconductor Policy of India announced in February 2007 that was developed to incentivise large scale semi-conductor manufacturing in India has not created any significant momentum and the reasons for lack of response from the international manufacturers need to be examined before embarking on a strategy to incentivise PV manufacturing in India. As per the SEIA of USA, out of the 142,698 solar jobs in the US, only 1/5th of those are in manufacturing. Again, after the imposition of the dumping duties in the US the manufacturing jobs in solar only grew by 0.4 per cent. Therefore the bulk of the jobs in the solar industry are created by new development that can only scale up as the tariffs attain commercial sustainability and are free from any subsidy. For a country like India where energy security and energy access are critical issues, a holistic and balanced approach to the build out of solar is needed that will in the end create all-round economic growth and jobs.